Discussion Redesign your classroom to emphasize openness, flexibility and collaboration. Have you embraced flexible and open seating? Are you getting creative with your classroom and incorporating technology? Great. You are ahead of the curve and the chances are your students are more engaged, and your school has ­better retention. 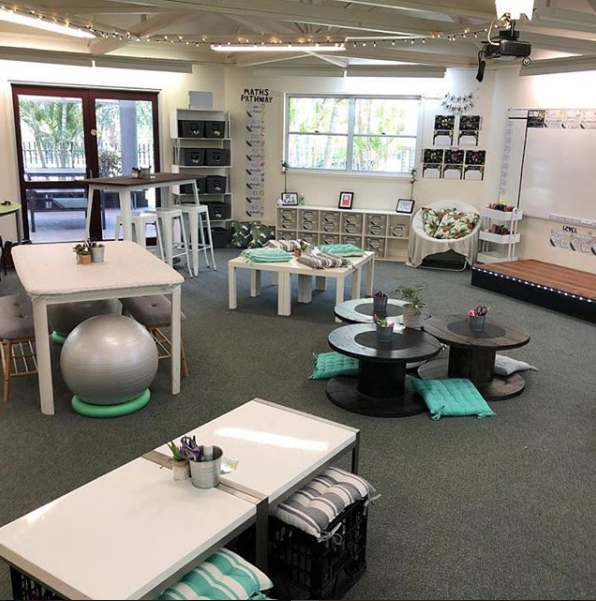 Enable different styles of learning with flexible classrooms: Modern learning environments paired with technology, improve student performance. Create a Neighborhood Vibe with Classroom Design: These provide more individualized instruction & students can pursue hands-on learning. Flexible furniture allows students and teachers to easily configure rooms for lectures, individual wok, small groups or classroom discussions. You can access the full article from CDW here. Please share your recommendations and classroom pictures below.